For decades our friends on the right have been railing against “activist” judges who interpret the law as they see fit, and yet the GOP controlled House of Delegates and State Senate are in the process of passing some of the most sweeping and open-ended language in recent memory; language, almost guaranteed to end up being parsed and interpreted in unforeseen ways in the courts of the Commonwealth. House Bill 1, the so called personhood bill, passed the House of Delegates earlier this month by a healthy margin and is now awaiting debate in Committee on the Senate side, but it’s only now starting to get the scrutiny that it deserves and the more people see of it, the more they don’t like it. HB 1 requires that all the laws of the Commonwealth be interpreted to grant fertilized eggs the same rights, privileges, and immunities, as people from the moment of conception on. In doing so it opens a potential Pandora’s Box for confusion and litigation. The bill’s sponsor, anti-choice zealot Delegate Robert Marshall of Prince William, says the bill is only meant to establish a civil cause of action for wrongful death of a fetus stemming from harm to a pregnant woman, but Marshall’s record and his refusal to amend the bill to clarify the many ambiguities the language raises, tends to belie this claim. Instead the bill, which is similar to language introduced and subsequently rejected in other states threatens to outlaw all abortions in the state de facto and make most forms of birth control including the IUD and the Pill illegal if current Supreme Court precedent is ever overturned and it raises serious concerns about the legality of common procedures surrounding in-vitro fertilization. A harsh but not inconceivable reading of the law could be interpreted to require women who miscarry to report the “death” to the local authorities, who, one would assume would have to decide whether or not to investigate if the “death” was spontaneous and of natural causes or was in fact an act of murder. Such silliness we are told would never happen, but the same people who say this are the ones forever warning us of the overreach of government and the chaos caused by radical, “activist” judges bent on making law from the bench. In this case I am rather inclined to take their warnings seriously. § 6. Nothing in this section shall be interpreted as creating a cause of action against a woman for indirectly harming her unborn child by failing to properly care for herself or by failing to follow any particular program of prenatal care. § 7. Nothing in this section shall be interpreted as affecting lawful assisted conception. Fair enough, a woman who drinks and smokes during her pregnancy or doesn’t stay on her diet can’t go to jail for murder if the pregnancy ends abruptly… but what about a woman who takes birth control? Remember conception happens outside the womb, the fertilized egg then implants (or not) in the womb. Most hormonal birth control prevents the fertilized egg from sticking to the uterine wall. By preventing this, the woman on birth control is “directly” intervening to prevent a pregnancy from continuing. The same could go for IUDs that create an inhospitable environment for the new “person” in the womb. It’s unclear, to say the least if using many of the most common and safe forms of contraception could be seen as a crime by an overzealous judge. Believe me after Citizen’s United, we Progressives have ample evidence of what damage a runaway court can do, and again don’t tell me prosecutors won’t bring these cases or judges will throw them out. Sure there won’t be many, at first, in the sense that birth control might be illegal and women and their doctors may have to seek contraception outside the law and would thus have to hide their actions, so there may be less murder and more smuggling cases. Who knows. We’re going into uncharted territory. What happens the first time or the fiftieth time that an aggrieved husband claims his estranged wife killed their child with birth control she bought in gasp, Maryland? The party that rails against nuisance lawsuits when they target corporations is all for opening up some of the most intimate decisions a woman or a couple can make to the tender ministration of the Courts. So this is what they mean by small government and tort reform. And, what about section 7? What happens to all the “people” that routinely get produced as byproducts of fertility treatments? Doctors often implant numerous fertilized eggs, sometimes this results in large numbers of embryos in the womb. Can the mother look forward to a government official being part of any decision she and her family might make about reducing that number? What about freezing embryos, do the fertilized eggs get a legal guardian? Can the couple be charged with child neglect if they fail to pay for the lab work? Is it legal to freeze a person without their consent? What would be the impact on stem cell research? Would a doctor who performs a risky procedure like amniocentesis that results in an unintended abortion be liable for involuntary manslaughter? None of this is addressed in the legislation and to think such cases won’t come up is absurd. This bill along with the raft of other anti-choice bills that have made this session one of the worst in recent memory for women’s rights is part of an overall plan to make abortion and birth control effectively unavailable for women in Virginia. Similar language has failed in public referendums in Colorado and that liberal bastion Mississippi. If put to a popular vote here, I am confident the people of the Commonwealth would reject it out of hand, but the radicals and partisans in the GA and the Governor’s office would like to push this through by mean force. In doing so they are also opening a gaping breach in the law that judges and lawyers and magistrates across Virginia will be asked to plug piecemeal. It’s time to let them know that that is as bad an idea as conferring personhood on a bundle of undifferentiated cells in the first place. 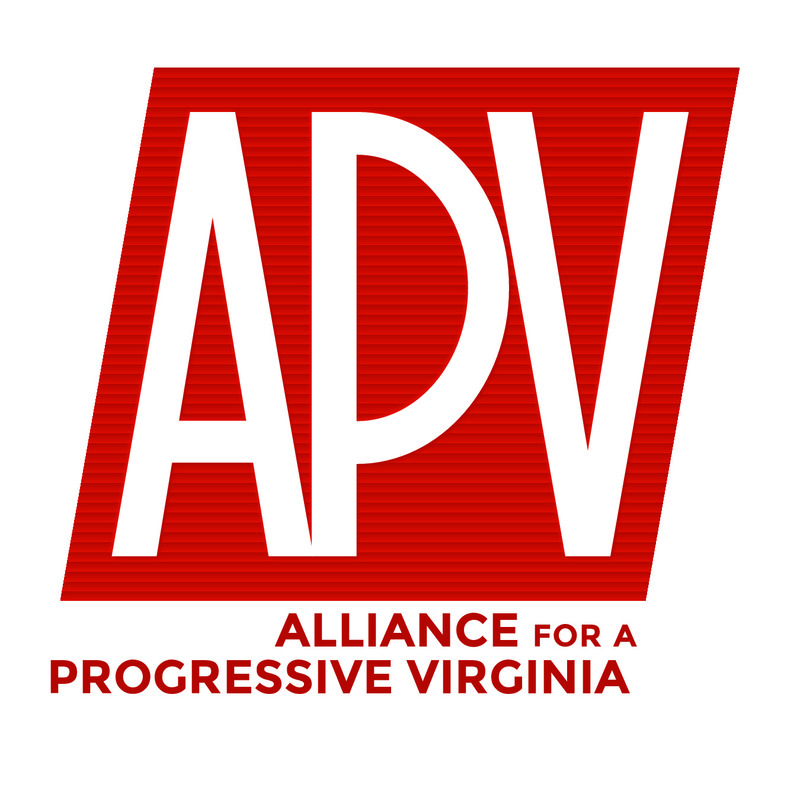 On behalf of the Board of Directors of the Alliance for Progressive Values I urge the legislators and the Governor to stop and consider the many unforeseen ramifications of this dangerous bill. Please say NO to HB1.